Given Ray Shero's propensity for pulling off blockbuster deals, Penguins' fans woke Wednesday morning in anticipation of what (or who) would turn up under the trade deadline tree. And, why not? The G.M. has always displayed a knack for stealing the headlines, whether it resulted from the surprising acquisition of Marian Hossa in 2008 or a heist that snatched Jarome Iginla from the claws of the Boston Bruins last season. So, when the Pens reportedly set their sites on obtaining Ryan Kesler in an effort to return the club to a three-center model, fans anxiously waited to see if Shero would, once again, get his man. Sure, some loved the idea; others hated it, but everyone eagerly waited, wondering how things would play out. As the league-wide deals trickled in, the Pens' faithful wondered when their G.M. would finally pull the trigger, once again fleecing a peer while further bolstering one of the NHL's most dangerous squads. As potential prizes were gobbled up, fans flooded various forms of social media, imploring Shero to finally strike. When the dust eventually settled, though, the Penguins "failed" to land any of the big names presumed available. Matt Moulson found himself bound for Minnesota; Thomas Vanek was off to Montreal; The Senators acquired Ales Hemsky; and Ryan Kesler, the coveted Vancouver center, remained property of the Canucks. In the end, the Penguins acquired Marcel Goc and Lee Stempniak in a pair of trades that each paled in comparison to what many fans hoped for. For some, the Pens' deadline was a dud. But, in reality, Pittsburgh managed to address the club's most glaring weakness. Say what you will about a desire to bolster a battered blue line or the need to find another winger for Sidney Crosby but the Pens' greatest hole, their biggest weakness, resulted from their lack of depth up front. Because, while the club still hopes Kris Letang can return at some point this year, Paul Martin will be back to help anchor the defensive unit. Similarly, Beau Bennett's return could potentially resolve the issue of who else should flank Crosby along with Chris Kunitz. But, the bottom-six? That was an issue the Penguins simply couldn't resolve internally. That's where Goc and Stempniak come in. Because, while neither represented one of the bigger names that moved on Wednesday, they both address specific needs that Shero pinpointed as a major concern. Marcel Goc doesn't put up huge numbers, never posting more than 12 goals or 30 points in a single campaign. But the 23 points he has registered this year would put him just ahead of Brandon Sutter for eighth in scoring on a top-heavy Penguins. Thus, even from an offensive standpoint, he's an upgrade to the Pens' bottom-six. But Goc is so much more than that. His 103 hits led all Florida forwards, as did his 41 blocked shots and 2:17 per game on the penalty kill. He contributed on the power play and provided the Panthers with their most reliable face-off man (52.8%). He may shift to the wing in upon his arrival in Pittsburgh but, at the same time, he'll provide the Penguins with exactly what they need: an additional physical element, responsible two-way play and an ability to chip in some occasional offense. And, as a result, he makes Pittsburgh a deeper, more complete team. 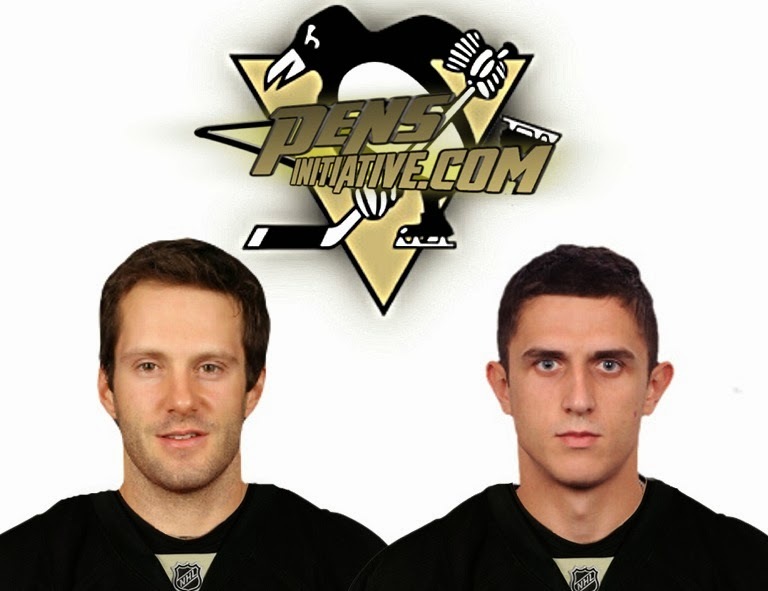 Meanwhile, Lee Stempniak provides the Pens with another versatile winger capable of playing throughout the lineup. He could potentially skate alongside Crosby or slide down to help fill out the third unit. What's more, he can play either wing, play the point on the power play and contribute to the penalty kill. Indeed, he may not possess the offensive flair of Thomas Vanek or the skill of Ales Hemsky but Stempniak provides Pittsburgh with an individual who produced at least 10 tallies seven times in his career. No, neither player likely represents what many Pens' fans hoped for when they woke up Wednesday morning but, in the end, Goc and Stempniak address specific needs, making this a better team. Time will tell how much of an impact the additions will ultimately provide but, in a weak Eastern Conference, they certainly elevate one of the favorites that much more.